Visit one of the South West’s most successful independent galleries featuring some of the best arts and sculptures done by local, national and international artists. You also get to see beautiful glassware work, bespoke framing and Swarovski Implexions. Grab a complimentary coffee offered by the museum authorities and start exploring all the three floors of the museum where you will see ever changing collection of art. The museum authorities keep on changing their collection so that the visitors are able to see something new on their every visit. Besides, if visiting the museum physically becomes difficult for you, the virtual museum tour lets you take a peek into their amazing collection of arts. Bus no.s – 5a, 5b and get off at Bournemouth Square(Stand R). How popular is Westover Gallery? People normally club together Bournemouth Lower, Central And Upper Gardens and Russell-cotes Art Gallery And Museum while planning their visit to Westover Gallery. Great place to wander through, amazing art! Excellent gallery, good products and very good service. Great selection of art and sculpture. Ali the manager is lovely... very helpful and knowledgeable. Brett downstairs in the Framing Dept is a very patient and a creative person. 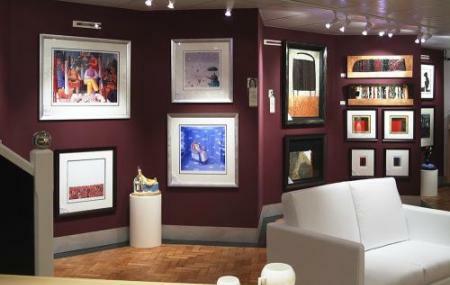 We have purchased a number of artworks from Westover and had numerous picures framed... always delighted with the service.